The plant-like organism spirulina is purported to be useful as a detox agent and for treating many health conditions. A type of cyanobacteria, spirulina appears to be safe to take even in high doses, as long as you get it from a reputable supplier, notes the University of Maryland Medical Center. You should use natural remedies only under the supervision of a qualified healthcare provider. Spirulina has a high concentration of protein, iron and other minerals, and it also contains vitamins. Spirulina is promoted as useful not only for detoxing but also for losing weight and relieving stress, anxiety, depression and fatigue. It is also claimed to improve attention deficit-hyperactivity disorder, cholesterol levels, diabetes, digestion, hay fever, immune system function, memory and premenstrual syndrome, notes MedlinePlus, a website provided by the National Library of Medicine. However, research is lacking, and there is insufficient evidence as to whether spirulina is effective for any health benefits, according to MedlinePlus. Mainstream medicine generally does not view dietary detoxing as necessary or beneficial, but the practice is supported in alternative health circles. Some reasons spirulina is claimed to be a good detox agent are offered at the website Disabled World. 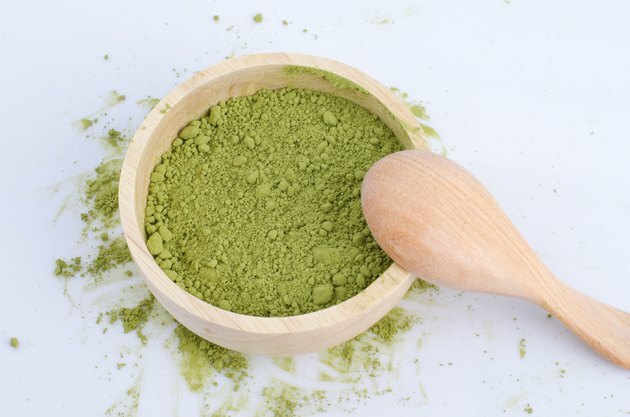 The pigment chlorophyll is claimed to be good for detoxification, as is the bioavailability of iron in this substance. In addition, although low in calories, spirulina provides vital nutrients during detoxification. While some supplement manufacturers grow spirulina under controlled conditions, others collect them from natural settings. Spirulina that grows in natural settings may be contaminated with bacteria, toxins called microcystins and heavy metals. Contaminated products are unsafe and can result in stomach pain, nausea, vomiting, weakness, rapid heartbeat, liver damage, shock and even death. MedlinePlus notes that you should only use products that have been tested and determined to be free of these contaminants. If spirulina works as claimed, it could stimulate the immune system. If you have an autoimmune disorder, you may be considering a detox regimen for potential benefits, but people with autoimmune disorders should not consume spirulina, according to MedlinePlus. Examples of autoimmune disorders include lupus, multiple sclerosis and rheumatoid arthritis. Consuming immune-boosting substances can worsen symptoms and decrease the effectiveness of medications that treat these conditions. Spirulina is rich in proteins, which are made up of amino acids, including phenylalanine. If you have a rare condition known as phenylketonuria that prevents you from metabolizing phenylalanine, avoid consuming spirulina, advises the University of Maryland Medical Center.